Filled to 45 lbs each with pea gravel. Like our yellow high-viz bags, these are among the toughest and longest-lasting bags we carry. Constructed of highly UV-resistant polyethylene monofilament, they'll last for years and stand up to tough abuse. We've driven over a gravel-filled snake bag with a 15-ton front loader with no bursting or damage to the bag. They can be emptied, hosed clean & reused multiple times. Slightly open weave, these are ideal for sediment filtration while allowing water to pass through. Their filled length (36") makes short work of damming or creating impoundments. 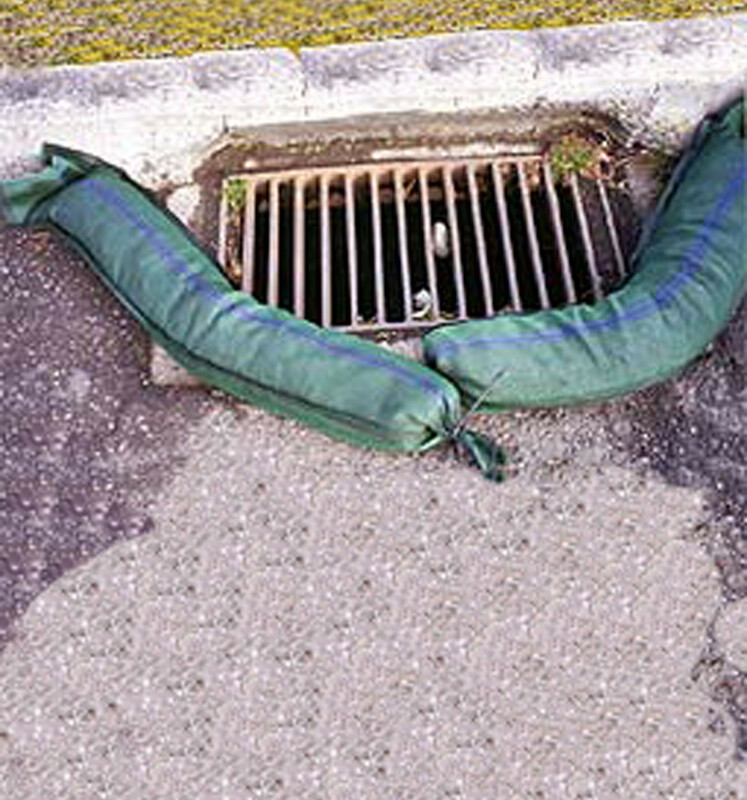 Uses include BMP for stormwater management, erosion & flood control, and ballast/anchorage for machinery, highway signage, tarps, roofing, landscaping, and more. Want empty snake bags to fill yourself? They're $5.00 each; click here.